Rediff.com » Movies » Sonali, Sussanne, Gayatri have lotsa fun! 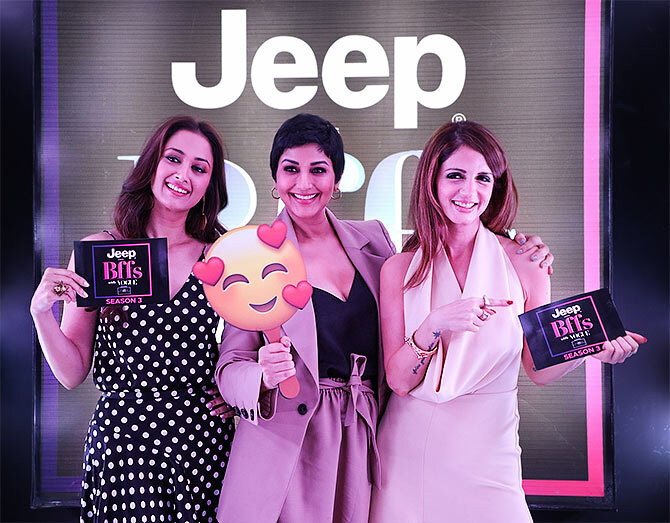 Sonali Bendre, Sussanne Khan and Gayatri Oberoi will be seen in the latest episode of BFFs with Vogue Season 3. Sussanne posted pictures and wrote: 'Stay close to people who feel like Sunlight... this is the simple truth I keep at the back of my head when choosing my peeps. Lucky for me God blessed me with the whole solar system! My darling @iamsonalibendre n @gayatrioberoi...Baes for life'. 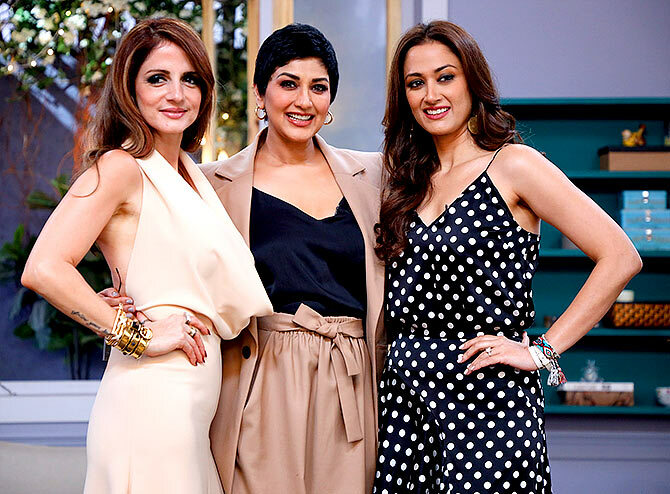 Sonali, Sussanne and Gayatri seem to have had a blast on the show -- they were laughing, giggling and dancing. 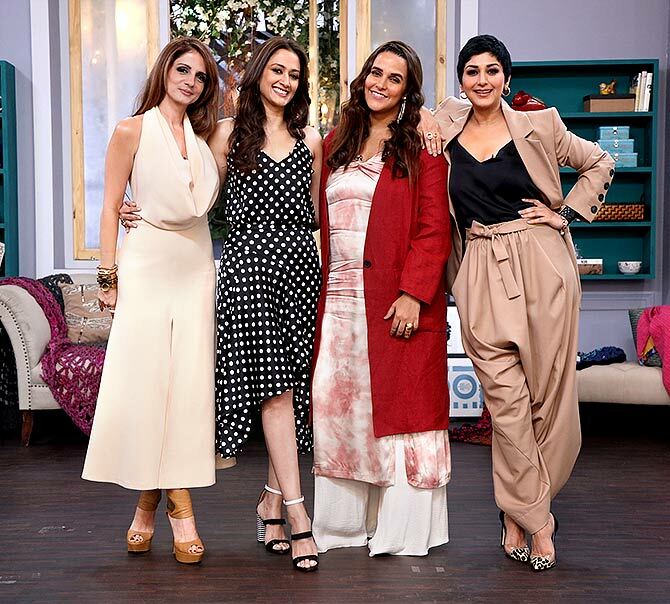 Host Neha Dhupia had a good time too with the three beauties.